Station Eleven falls into this category. 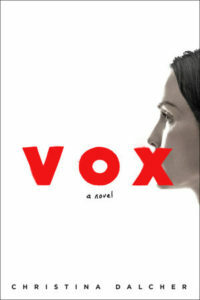 Emily St. John Mandel’s deeply moving novel takes place fifteen years after a pandemic, the Georgia Flu, has claimed over 99% of the world’s population. All of the technology that defined the modern age – electricity, transportation by car and plane, the Internet, computers, medicine, etc. – is gone. Geographic borders have become meaningless, as people now live in very small communities, often congregating in formerly public spaces like Walmarts, airports, and restaurants. Other than traveling by foot from place to place, there is no way of knowing who else – if anyone – is still around. Station Eleven follows a few different characters, relating their pre- and post-flu lives. The pre-flu plot centers around Arthur, an aging actor performing King Lear in a Toronto theater just as the flu is racing through America. He dies of a heart attack while on the stage. Among those who are affected by his death are Jeevan, a paramedic who tries to revive him; Kristen, a child actress performing with him; Clark, his best friend; Miranda, his ex-wife; and Elizabeth, another ex-wife with whom he had a son, Tyler. Station Eleven jumps around among these characters’ lives, ultimately following where they were when the flu hit, how they managed to survive it (or not), and where they are now, fifteen years later. Ultimately, most of them cross paths again in the new world. Kristen ends up in a traveling theater troupe who roams from town to town through what was once the Midwest, bringing a bit of beauty to the desolation in the form of Shakespeare and classical music. Mandel does not spend time talking about how the citizens of the new world survive day to day (how did they get water? what did they do all day? how did they get new clothes? how did they survive winters living in airports with no heat?). Instead, she focuses more on the psychological impact of the flu and its destruction of culture and connection. That’s why the troupe is so important; it’s a symbol of how desperate both the performers and the audience were for lovely, fragile humanity – which they had lost in a weekend. There is a pervasive feeling of dread and danger throughout the book too, thanks to the vigilante, wild West atmosphere that replaced our ordered, law-enforcing society. I found Station Eleven to be a thought-provoking, moving book. It took me forever to read – like 4 weeks – because I just couldn’t process too much of it at one time. I absorbed it in small chunks because it kind of exhausted me. But I know people who read it in a weekend, so don’t let that deter you. There is one incredibly powerful image that comes to mind whenever I think about Station Eleven. When the world had finally grasped the potency of the flu, people started quarantining buildings and shutting people out in an attempt to keep the flu away. Three hundred stranded passengers in a Michigan airport, surrounded by empty planes, watched a final plane land on the runway… and just sit there, silently. No one ever emerged from the sealed plane. Ever. Who decided that those people needed to stay on the plane to protect the uninfected? Who was on the plane? How swift were their deaths? That plane just haunted me. Station Eleven isn’t a perfect book – there are a lot of loose ends and much that goes unexplained – but I think it was incredibly impressive nonetheless. It has made me look differently at how we live our modern lives and question what’s really important and what would survive if we all disappeared.